Helen Alvaré is one of the preeminent Catholic voices today, an ardent defender of conscience rights and of Catholic teachings on marriage, family, and human life. She is a Professor of Law at George Mason University School of Law, a Consultor to the Vatican’s Pontifical Council for the Laity, and serves as a delegate to U.N. conferences on behalf of the Permanent Observer Mission of the Holy See to the United Nations. 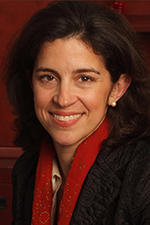 An ABC News commentator, Prof. Alvaré also writes for publications as diverse as the New York Times, the Washington Post, America, and thepublicdiscourse.com. President of the Chiaroscuro Institute, Prof. Alvaré founded the advocacy group WomenSpeakforThemselves.com. 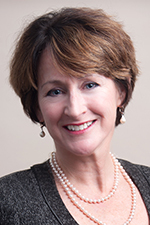 Mary Rice Hasson, an attorney, is a Fellow in the Catholic Studies Program at the Ethics and Public Policy Center, where she speaks and writes on Catholicism, sexuality, women, family life, and religious freedom. She co-authored the groundbreaking report, What Catholic Women Think About Faith, Conscience, and Contraception (2012) and, most recently, edited the new book, Promise and Challenge: Catholic Women Reflect on Feminism, Complementarity, and the Church (Our Sunday Visitor, 2015).